A striking number of targets were people in positions important to national security. Four consecutive Home Secretaries from 1997 to 2007 are reported to have been hacked, as well as many senior officers from the Metropolitan police (including Sir Ian Blair, John Yates, Mike Fuller, Andy Hayman, Brian Paddick and Ali Dizaei). And it turns out that the News of the World was seven times more likely to hack a Labour politician than a Conservative one. But what emerges most clearly is that the great majority of those who were hacked were people most of us had never heard of. Many were connected to public figures, but often simply by being related to them, or working with them, or being their friends. You might be hacked because you were, for example, the partner or ex-partner of a public figure, or a work colleague or a friend or acquaintance or a parent or step-parent. 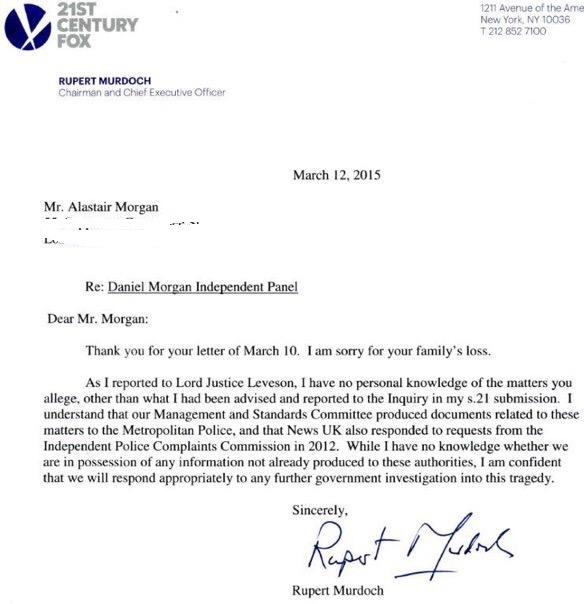 With considerable speed and grace, on Monday 16 March, Rupert Murdoch replied to Alastair’s letter, promising to co-operate with the Daniel Morgan Independent Panel inquiry, and explaining how News Corp’s Management and Standards Committee have already complied with requests from the police and the IPCC. My original blog on the letter is below. 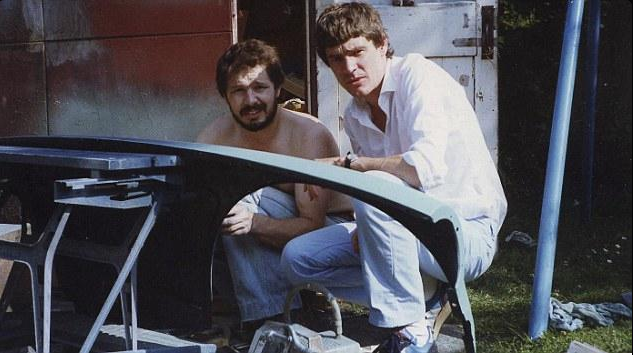 Tomorrow marks the 28th Anniversary of the murder of private investigator Daniel Morgan, and his family’s amazing decades-long campaign for justice. The police corruption around the most investigated murder in British criminal history has been described by an assistant Metropolitan police commissioner as one the biggest stains on Scotland Yard’s history. 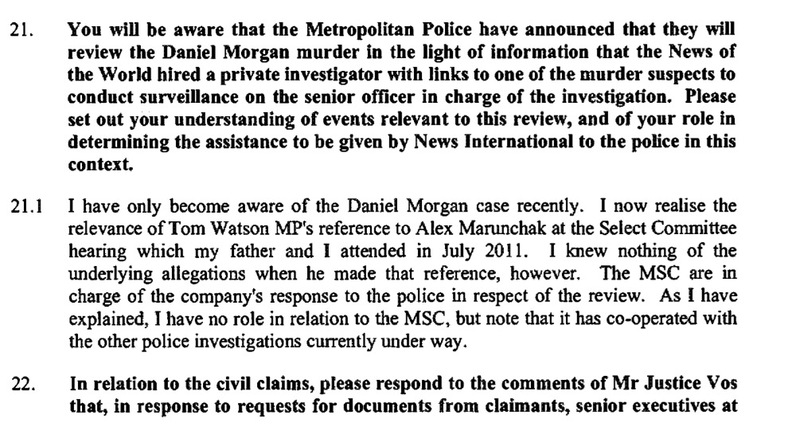 But Daniel’s murder also leads straight back to the doors of the British press and its relationship with private investigators. It is “the cradle where the dark arts were born” as a senior police officer once described it to me. Whatever happened to Operation Tuleta into computer hacking at News International? 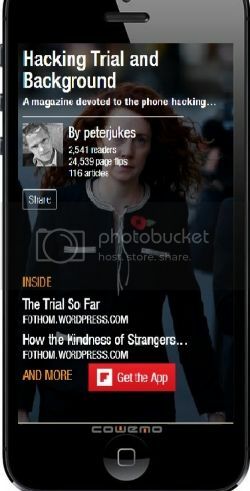 With the exception of a small element in the Nick Parker trial about accessing a stolen politicians iPhone, the third strand of the Met Inquiries into News International, seems to have virtually disappeared. While Operation Weeting dealt with phone hacking, Operation Elveden payments to public officials, Operation Tuleta was set up in 2011 to look at claims of computer hacking. 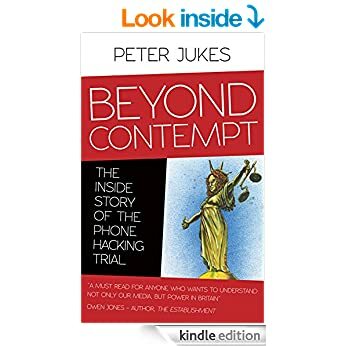 Paperbacks can be ordered from Waterstones and the ebook from The plan is to upgrade and maintain this blog as a open source database on the hacking trial and related cases for future research.